He is a blue chipper that comes, albeit, with a bit of a red flag. All that said, the Winnipeg Blue Bombers absolutely love the ceiling of receiver Rashaun Simonise and the dynamic threat he could morph into as a pass catcher in their offence. 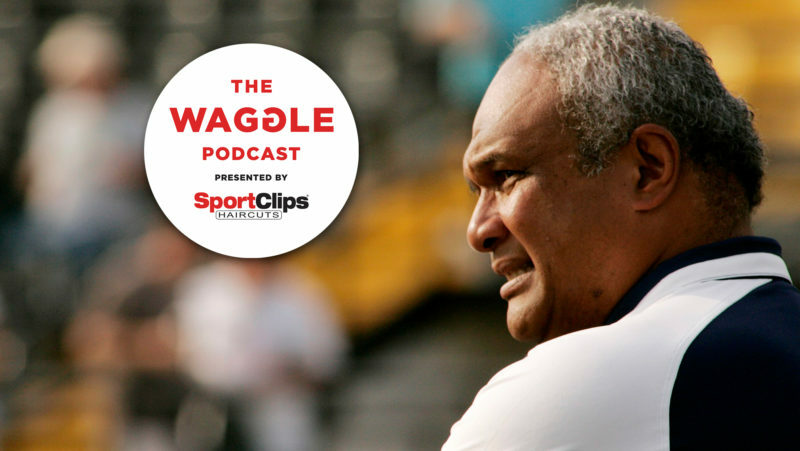 The Bombers made Simonise their first pick, 12th overall, in Thursday night’s Canadian Football League Draft and it’s a choice that will undoubtedly be under the microscope in the short term. 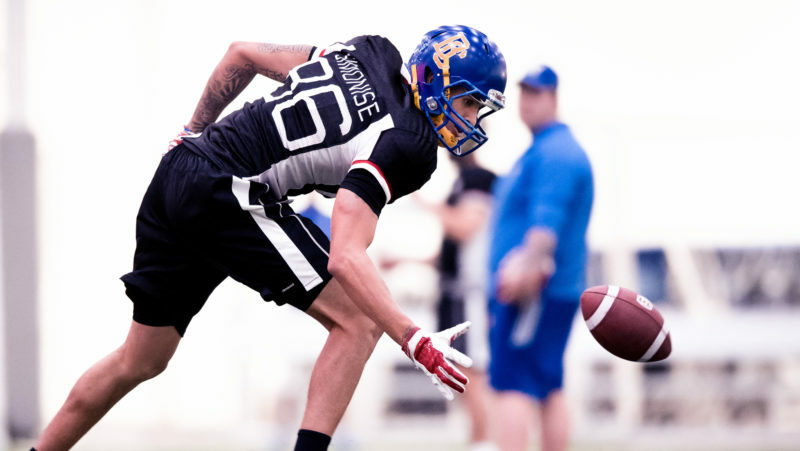 No one questions Simonise’s skillset – he’s 6-4, 202 and was a First-Team All-Canadian at the University of Calgary and flashed enough to be invited to training camp with the Cincinnati Bengals in 2016. But the questions come from what happened in 2015-16 to Simonise, first being ruled academically ineligible to return to the Dinos and then, during his time with the Bengals, tested positive for a performance-enhancing drug – a weight gainer – and was suspended four games by the National Football League. That also led to the CFL ruling that Simonise’s draft year would be deferred to 2018 from 2017. 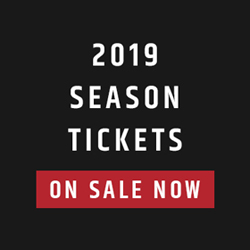 He spent the 2016 and 2017 seasons with the Okanagan Sun of the Canadian Junior Football League, playing in seven total games and finishing with 23 receptions for 392 yards and three touchdowns. 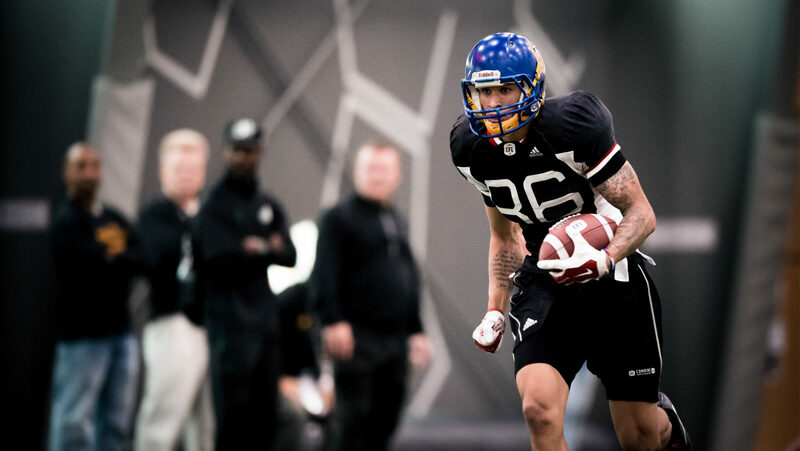 Simonise looked rusty during the National Combine in Winnipeg this spring, but the Bombers believe with a fresh start – and the influence of veteran receivers like Weston Dressler, Darvin Adams and Adarius Bowman – he can return to being a blue-chip prospect. Simonise will join a Bombers receiving corps that is suddenly flush with Canadians. The club already plans to start two Canucks at receiver in free agent additions Nic Demski and either Matt Coates or Drew Wolitarsky, and has 2017 draft picks Tylor Henry and Brendon Thera-Plamondon along with Brett Blaszko. On top of that, the club used two other picks Thursday night – their third and fifth-round selections – to select receivers, grabbing McMaster’s Daniel Petermann 26th overall and Tyrone Pierre of Laval at the 41st spot. 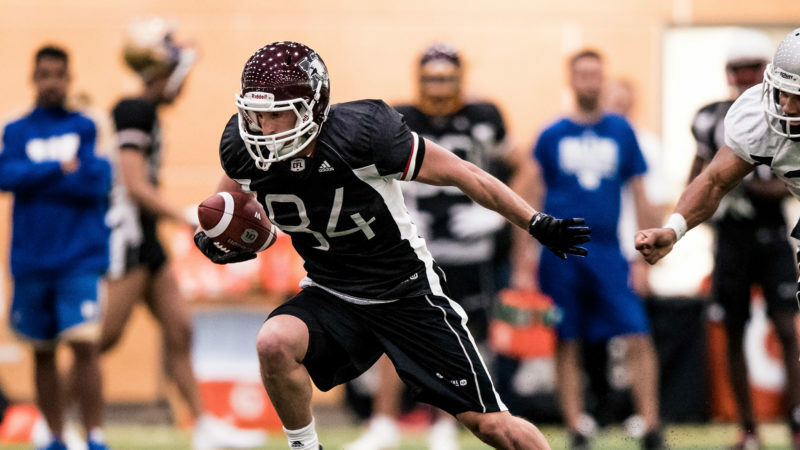 Petermann was one of the stars of the camp in Winnipeg, posting the fastest 40 time (4.57 seconds), tying for the highest vertical (39 inches) and the second-best time in the 3-cone drill (7.03 seconds). He led the Marauders in receiving last year with 36 catches for 517 yards and two TDs. Pierre, meanwhile, caught 13 passes for 122 yards for the Rouge et Or and played in the U SPORTS East-West Bowl. 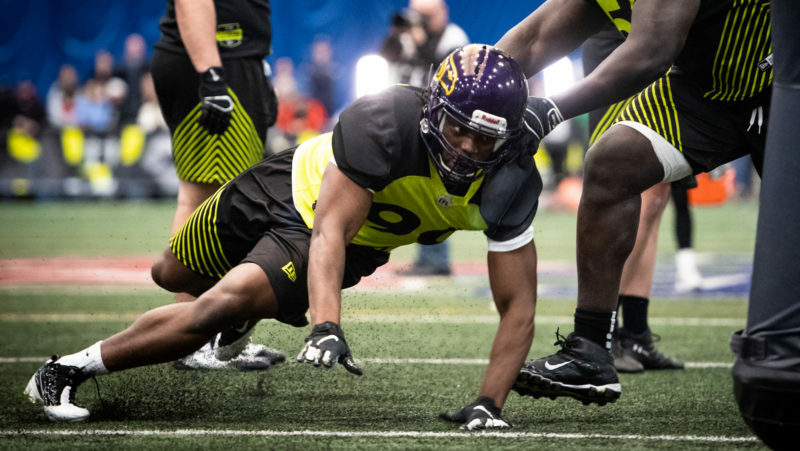 The Bombers used three picks to select offensive linemen, grabbing Montreal Carabins monster Arnaud Gendron-Dumouchel, a tackle who stands 6-9 and weighs 310 and showed good flexibility for a big man at the National Combine, with their fourth-round pick (33rd overall) and then selecting Bishop’s Matthew Ouellet De Carlo, a 6-4, 318-pound guard. And with their final selection in the 2018 CFL Draft, 67th overall, the club chose Ben Koczwara of Waterloo, a 6-3, 291-pound guard. 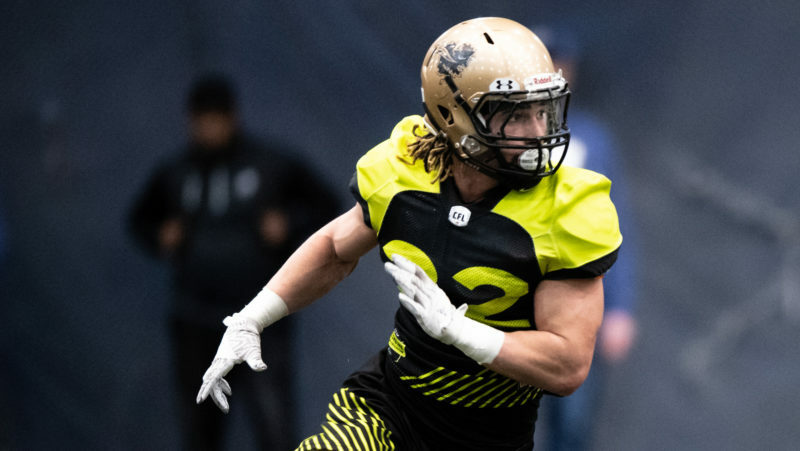 The Bombers used their seventh-round pick to draft a player in the mould of current starting safety Taylor Loffler, Queen’s safety Jacob Firlotte, who was also a member of the Golden Gaels track team.